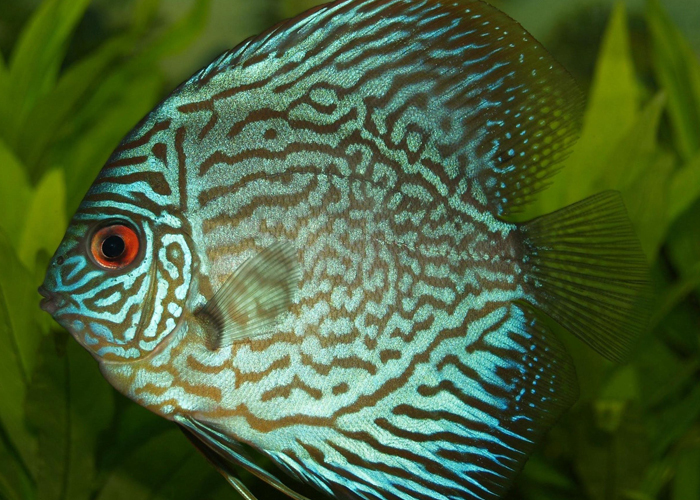 Pan Ocean Aquarium Inc is a reliable wholesaler of aquarium supplies as well as aquatic plants and animals. Our small family business provides retailers with top-notch products and exceptional customer service. We always do our best to make sure that buying from us is a great experience that gets you exactly what you need! We are always willing to assist our customers and work with them to accommodate their needs. Our flexible approach to doing business means we’re willing to bend a few of our rules just to help you out. In addition, we also take special orders. Our company is based in Hayward, CA. We mainly serve retailers based in our state, but we are willing to ship all over the U.S. as necessary. Reach out to us today to place an order! 1) Online Ordering can be done at any time as long as it is submitted by 11:59 pm on the day prior to your delivery date (i.e. If our driver delivers to you on Wednesday, then your order must be in by 11:59 pm Tuesday). 2) Phone in orders will also be welcome during our normal business hours (8:00-3:00 PST). We do ask that you have the appropriate ordering information ready prior to placing the call (part numbers, product descriptions, quantity, etc.). 4) Walk in purchasing is always welcome. 1) Only approved companies can place orders. If credit terms have not been established for your account, the credit card on file will be charged once the order is ready for shipment. 2) We will strive for a same-day fulfillment process for all ship out orders that are received by 12:00 PST. We will notify you by close of business if any items are out of stock. 3) Frozen food is only available for local customers at this time. We do not ship frozen foods. 4) Freight charges for ship out orders will be added AFTER the items are packed and weighed. You will not see shipping charges online during checkout. This cost will be added to your invoice and charged to the card on file. Ship out orders are any orders that are not delivered by our own delivery drivers and are instead done with a third-party shipper (i.e. UPS, FedEx, USPS, OnTrac, LTL, etc.). All D.O.A's (dead on arrival) must be reported no later than 24 hours of receipt of shipment with our office. D.O.A.’s need to be returned with the delivery driver if he is still at your store. Photos may be required for credit so please do not discard until the credit has been approved. It is important to contact us during the 24 hour period or the credit will be denied. **All Live Foods are guaranteed live arrival only. Please inspect them carefully with our drivers. Once an order has been submitted, you cannot change the order. If you need to add to your order or change something, please call our office or send an email to orders@panoceanaquarium.net with your request. If you placed an order and received confirmation, please contact our office at (510) 782-8936 to inquire about your order status. If you have been invoiced for an item that was not received, please call our office at (510) 782-8936 within 24 hours of your delivery. Please call our office at (510) 782-8936 and let us know. We will send you missing parts if we have them in stock. If we don’t have it, we can request for the manufacturer to send it to you. We do not keep backorders at this time. If you ordered an item and we are out of stock, please re-order from us on your next order. If the supplier is out of stock, it is sometimes difficult to know when the items will be available again. However, we will try our best to find out if you need an ETA. 1) On the SUPPLIERS tab, please scroll down and click on NEW ACCOUNT APPLICATION and RESALE CERTIFICATE INFO. 2) Fill out both forms completely and return them to us along with a copy of your Business License and Seller’s Permit. PLEASE NOTE: The application process is not complete until we get back all the required forms. 3) If you are an existing customer who needs to sign up for an online account, select “Dealer Login” and click on “Register”. We will contact you once your online account is activated. *Your information will NEVER be sold to any other company and is kept completely private. Once you log in as a dealer, you will be able to edit your account information. Shipping is based on location and shipping method. Please inquire with our office by calling (510) 782-8936 for more information. After you click on the “Dealer Login” at the top right hand side of our site, you'll see a link that says “Forgot your Login Info?”. Click on that link and you will see instructions on retrieving your password. We accept returns as long as it meets the rules of our return policy. If it does, please call our office at (510) 782-8936 for instructions on how to return the item. Please click here for more information on returning an item. If you feel that you have received the wrong product, please contact our office at (510) 782-8936 within 24 hours to report the wrong item. We have a set route each week for deliveries. If your store is within one of our delivery routes, you will get your order on the same day of week every week. Some changes may occur if there is a holiday, but you will receive notification in advance. If your order requires shipment via air cargo, please inquire with our office on ship out dates. All products purchased from us is considered as resale so you do not have to pay sales tax. Please contact our office if you have any questions about charges on your order. Please log into your online account and you will be able to view all past invoices and payment history information under “My Account”. I returned an item. When will my credit appear on my account? Credits are usually given within 3-5 business days from the time we receive your item(s). If your order is being delivered by our drivers, payment may be made in the form of cash, check, cashier’s check or money order. If you would like your invoice to be charged on a credit card, please call our office with your credit card information. Orders that are shipped out must be paid by credit card prior to shipping. It is our goal and commitment to provide you with great products at the best price. We value your business and strive to keep our prices low! Anytime you find an identical product from a local competitor, we will try out best to match the price. Some exclusions may apply. All non-defective items must be returned within 14 days of purchase with a copy of the receipt. On the 15th day and thereafter, all items returned will be subject to a 15% restocking fee. 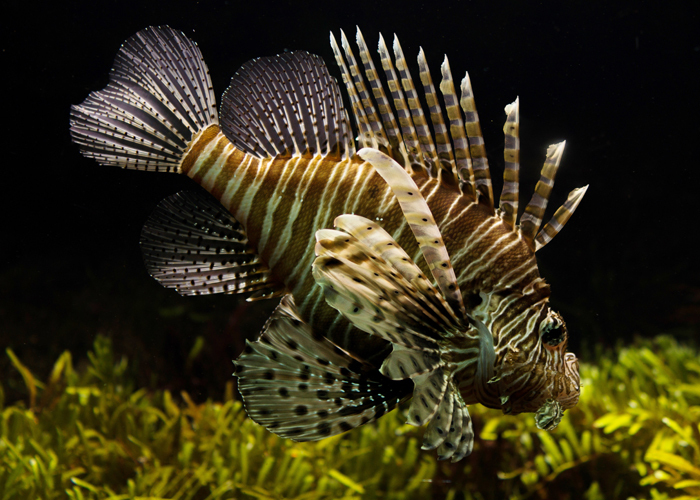 All fish tanks must be inspected for damage upon delivery and must be returned on the same day if any damage is found. All defective or missing parts will be replaced (not refunded) within 30 days of purchase. Please encourage YOUR customers to call the manufacturer regarding warranty replacements on defective items. ALL SALES ARE FINAL AFTER 30 DAYS OF PURCHASE. NO EXCEPTIONS. Returns must be requested and pre-approved by calling our office at (510) 782-8936 or by email to info@panoceanaquarium.net. The package must be returned to our driver (if applicable) or shipped back at your expense within 7 days of confirmation. A 15% restocking fee will be charged to cover costs that were incurred with original sale if the item is not returned within 2 weeks of the original sale date. Credits for the returned merchandise will be a credit towards a future purchase. Credit Card and Cash refunds will not be issued. This site and the products on this site are provided "as is" and without warranties of any kind, whether express or implied. To the fullest extent permissible pursuant to applicable law, Pan Ocean Aquarium disclaims all warranties, express or implied, including, but not limited to, implied warranties of merchantability and fitness for a particular purpose and non-infringement. Pan Ocean Aquarium does not represent or warrant that the functions contained in the site will be uninterrupted or error-free, that the defects will be corrected, or that this site or the server that makes the site available are free of viruses or other harmful components. Pan Ocean Aquarium does not make any warrantees or representations regarding the use of the materials in this site in terms of their correctness, accuracy, adequacy, usefulness, timeliness, reliability or otherwise. Some states do not permit limitations or exclusions on warranties, so the above limitations may not apply to you. Pan Ocean Aquarium shall not be liable for any special or consequential damages that result from the use of, or the inability to use, any of the products sold on this site. In the event that an item is mistakenly listed at an incorrect price, Pan Ocean Aquarium reserves the right to refuse or cancel any orders placed for product listed at the incorrect price. These terms and conditions are applicable to you upon your accessing the site and/or completing the registration or shopping process. These terms and conditions, or any part of them, may be terminated by Pan Ocean Aquarium without notice at any time, for any reason. Pan Ocean Aquarium may deliver notice to you by means of e-mail, a general notice on the site, or by other reliable method to the address you have provided to Pan Ocean Aquarium. Harassment in any manner or form on the site, including via e-mail, chat, or by use of obscene or abusive language, is strictly forbidden. 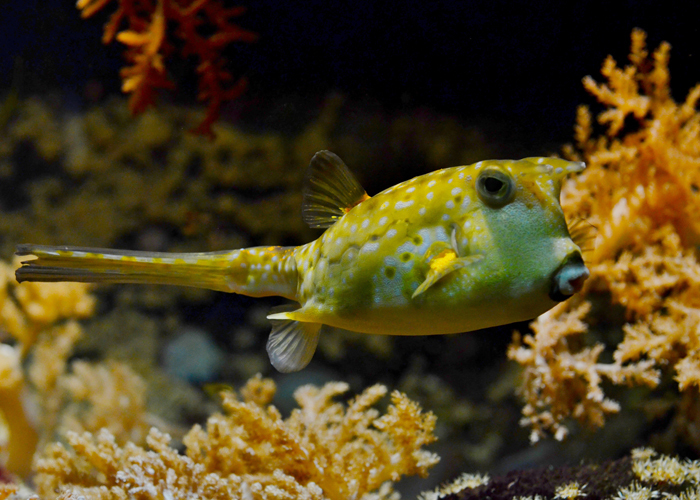 Impersonation of others, including a Pan Ocean Aquarium or other licensed employee, host, or representative, as well as other members or visitors on the site is prohibited. You may not upload to, distribute, or otherwise publish through the site any content which is libelous, defamatory, obscene, threatening, invasive of privacy or publicity rights, abusive, illegal, or otherwise objectionable which may constitute or encourage a criminal offense, violate the rights of any party or which may otherwise give rise to liability or violate any law. You may not upload commercial content on the site or use the site to solicit others to join or become members of any other commercial online service or other organization. You agree to indemnify, defend, and hold harmless Pan Ocean Aquarium, its officers, directors, employees, agents, licensors and suppliers (collectively the "Service Providers") from and against all losses, expenses, damages and costs, including reasonable attorneys' fees, resulting from any violation of these terms and conditions or any activity related to your account (including negligent or wrongful conduct) by you or any other person accessing the site using your Internet account. In an attempt to provide increased value to our visitors, Pan Ocean Aquarium may link to sites operated by third parties. However, even if the third party is affiliated with Pan Ocean Aquarium, Pan Ocean Aquarium has no control over these linked sites, all of which have separate privacy and data collection practices, independent of Pan Ocean Aquarium. These linked sites are only for your convenience and therefore you access them at your own risk. Nonetheless, Pan Ocean Aquarium seeks to protect the integrity of its web site and the links placed upon it and therefore requests any feedback on not only its own site, but for sites it links. You can choose to have your computer warn you each time a cookie is being sent, or you can choose to turn off all cookies. You do this through your browser settings. Each browser is a little different, so look at your browser Help menu to learn the correct way to modify your cookies. If you turn cookies off, you won't have access to many features that make your site experience more efficient and some of our services will not function properly. However, you can still place orders over the telephone by contacting our office. To modify your e-mail subscriptions, please call our office and let us know you do not want to receive communication from us. Please note that due to email production schedules you may receive emails already scheduled to go out. We welcome your questions, comments, and concerns about privacy. Please send us any and all feedback to info@panoceanaquarium.net pertaining to privacy, or any other issue.